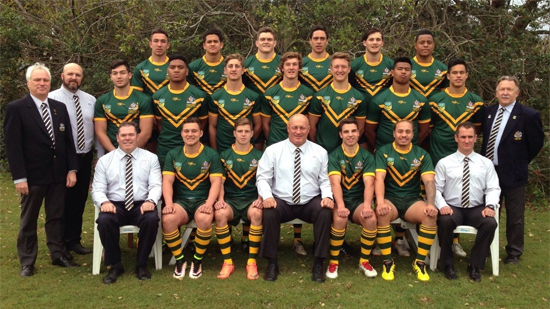 The Australian Schoolboys have opened the two-game Test series against England Academy with a 50-26 win at Redcliffe this afternoon. Australian Schoolboys 50 (Mawene Hiroti 2, Zac Lomax 2, Tui Afualo, Nick Cotric, Daniel Keir, Thomas Mikaele, Sean O’Sullivan tries; Sean O’Sullivan 7/9 goals) def. England Academy 26 (Matthew English, Lewis Heckford, Liam Paisley, Danny Walker, Joe Wardill tries; Morgan Smith 2/3, Rob Fairclough 1/2 goals) at Dolphin Oval, Redcliffe.